In 1985, Bernard Bass expanded on James MacGregor Burns’ “Transformational Leadership”, explaining the psychological mechanisms that underlie transforming and transactional leadership. Bass used the term “transformational” instead of “transforming”. In the 1990s, Bass and Avolio, through empirical study, mapped the most common leadership approaches of managers and military commanders. They placed Transformational and Transactional Leadership on a continuum and defined more stages at the passage between the two leadership approaches. 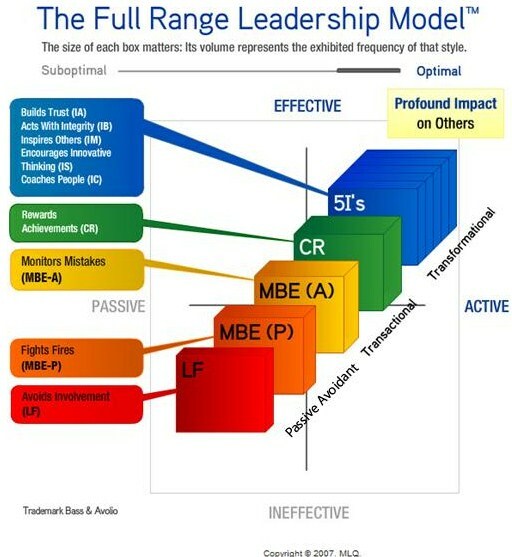 This model is called "The full range of leadership." Please refer to the graphic, which can be found at http://bit.ly/WpJKHa. 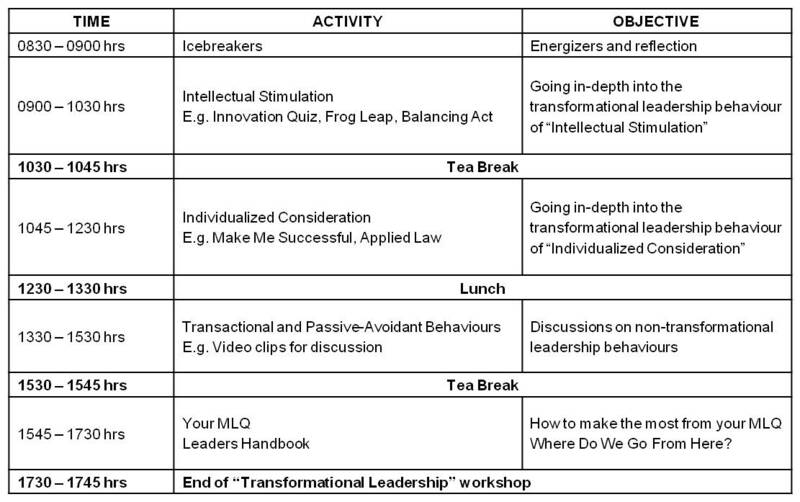 The Multifactor Leadership Questionnaire (MLQ) gives extremely useful feedback to leaders as to how often they exhibit transformational leadership behaviours and how often they tend towards the passive-avoidant portion of the leadership continuum. Research validated benchmarks are provided, and are a useful gauge of the current leadership effectiveness of your organization’s leaders at the current moment, compared to leaders worldwide. Unlike many other leadership assessments, the MLQ discusses the full range of leadership behaviours, including Passive-Avoidant types of behaviours, which are not normally associated with desirable leadership attributes. 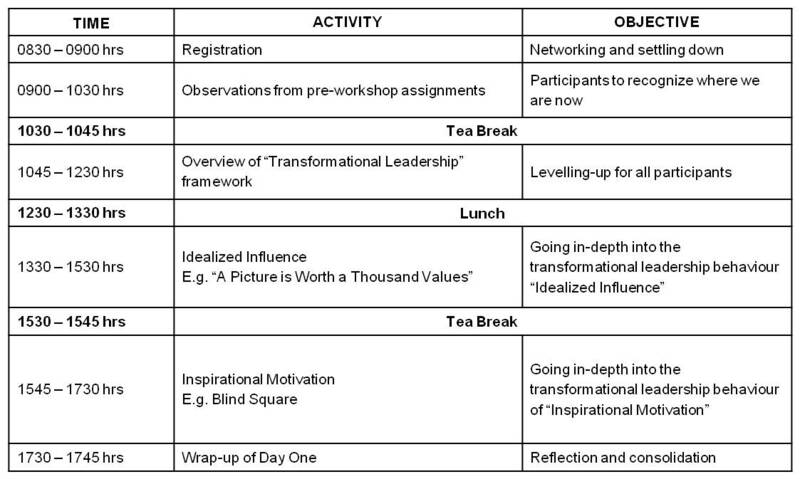 Bearing in mind that all leaders exhibit all these characteristics at one time or another, the Full Range Leadership Model via the MLQ thus provides an excellent framework for organizations desiring a shake-up of their leadership apparatus. If you want your organization to take quantum leaps forward, the Full Range Leadership Model is definitely something you will consider. The pain is definitely worth it! Contact us for a discussion now!